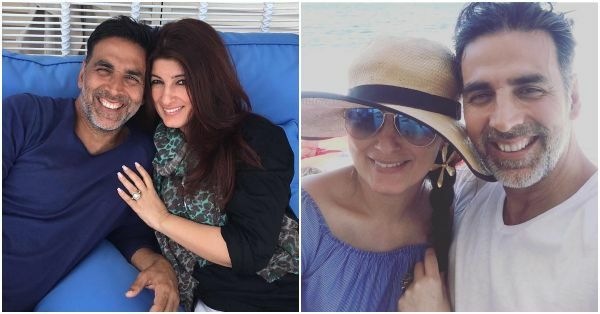 Twinkle Khanna Reveals Everything Her Husband Didn't Gift Her On Their 18th Anniversary! While the rest of the Bollywood is busy with the #10yearchallenge and flooding the internet with a barrage of posts comparing their 2009 versus 2019 looks, Twinkle Khanna seems to be playing catch up with this social media craze with a twist. Mrs Funny Bones, who is celebrating her 18th wedding anniversary with husband Akshay Kumar has taken up the 18 Year Challenge to give us a glimpse of her funnier side once again. The former actress and author posted a series of pictures on her Instagram account with funny captions to take a jibe at what her husband "didn't gift" her on their anniversary. Unlike other couples, who normally post pictures of the gifts they receive from their partners on their special day, the much-loved author took the humourous path and listed all the things that her actor husband DID NOT give her. Using their 18 years of togetherness as a challenge, Twinkle made sure that all her posts ended with the hashtag #18yearchallenge. 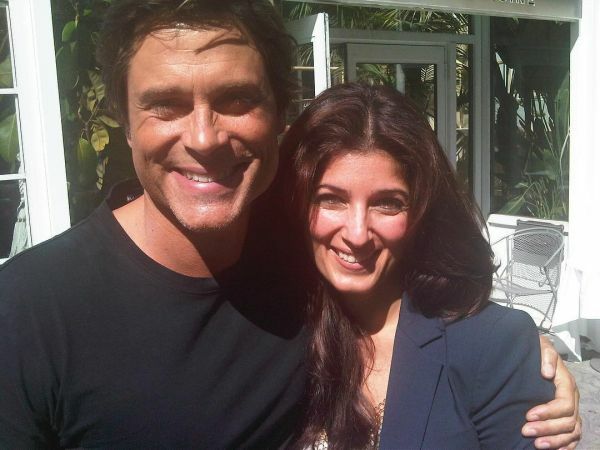 In the second picture, a delighted Twinkle is seen hugging American actor Rob Lowe and captioned the post as, What did you husband give you on your anniversary? Unfortunately he didn't give me a date with my childhood crush Rob Lowe #18yearchallenge. The third picture is from the launch event of Twinkle's latest book Pajamas Are Forgiving in which Akshay and Ranveer Singh share a cute PDA moment. Ranveer is seen giving a peck on Akshay's cheek and the witty wife came up with an interesting caption for this too. She wrote, What did your husband give you for your anniversary? Unfortunately he didn’t even give me a freshly wrapped Mr Singh just kept all the hugs for himself #18yearchallenge. Mrs Funnybones, we really love this unconventional way of wishing your partner on your anniversary! According to reports, the celebrity couple will be taking a break from their busy schedule and jetting off for a vacation to celebrate their 18th anniversary. Twinkle and Akshay got married in 2001 and since then the couple has been giving us major couple goals.